Of late, I’ve had quite a few website owners come to me saying they want to sell… excellent. But (following on from yesterdays post), when asked to “prove” what they’re telling me, they go very very quiet. So what’s going on? have you been able to make a go of your Business/website? Is your business/website making a profit? How does your Business/website make money? Just because it’s a website does not make the answers to these questions any less important. Selling a website is no different from selling a business really. 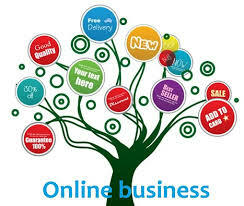 It’s not called an Online Business for nothing!